We offer high quality anti-theft cap mould, auger-type cap mould, bowknot cap mould, automatic flip, bounce type cap mould and so on. 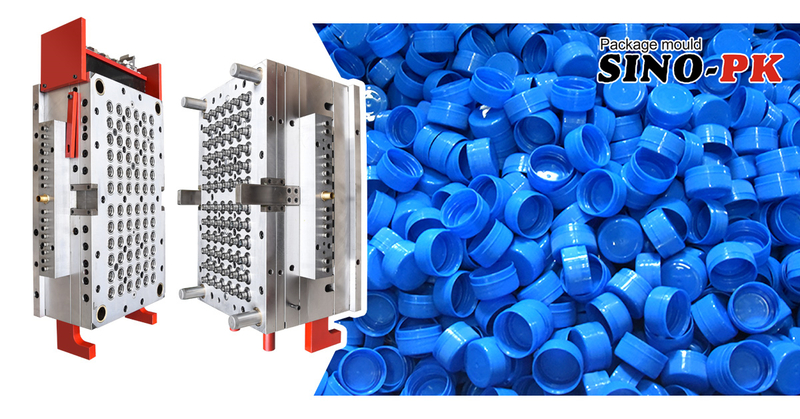 Sino Mould, one of best known professional cap mould supplier and exporter, have many years experience in making different kinds of cap mould, such as anti-theft cap mould, auger-type cap mould, bowknot cap mould, automatic flip, bounce type cap mould and so on. Every year we export about 500sets of packing mould including 40% plastic injection cap mould , which is fit for mineral water, juice bottle and some food and container not for food. When we made the cap mould, we should pay more attention to high speed injection molding and high efficient production model. During project design, our engineer will design structure and cooling system from different area. After many times reviewing and scanning, we will give out the final perfect structure design. When we manufacturing the cap mould, we will choose high harden ,high polished steel for mould core parts and have strict control process not only in mould dimension but also in quality. We also have files for every tooling step and tooling process. And every parts of the mould will have a qualified test report. If you have any project need package mould, please feel free to contact me.